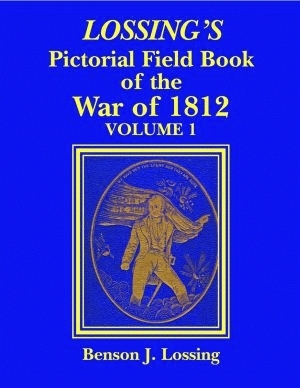 The result of meticulous research and in-depth interviews with veterans, Lossing’s Pictorial Field Book of the War of 1812 is a narrative of historic events during that era. Accounts are given on a host of topics such as the perils of the country immediately succeeding the Revolutionary War, the struggle of power with Britain, and the origin of the United States’ political parties and their relation to the War of 1812. Lossing’s research sent him traveling “with note-book and pencil in hand” throughout America, from the Great Lakes to the Gulf of Mexico and into Canada. He referenced all the government and private collections available to him as well as the firsthand accounts of those who made the history. The writer’s engravings and sketches, as well as maps and images evocative of the period, illustrate this historical account.